Here i used red aval,but if its not available then can use white too.. In aval ,usually we can see some black shaded ones and plenty of nellu(rice seeds) ,if so plz remove them ..
Then in a wide dish add this aval and add some water and mix ..
Then throw the water away .. (actually washing but aval is very delicate ,so do it gently 🙂 ) Do two to three times like we wash rice .. In a cooker add milk and one lil water along with 4 to 5 tbsp of sugar and boil .. When start boiling lower the flame and close the cooker and put weight .. Allow to cook in sim and when u hear the first whistle then switch of the flame and keep aside for another 1 hour ..
Open the cooker after one hour by the time all pressure will be settled and cooled ..
At this point u can see a pink shade in the milk ..
Take a nonstick saucepan and strain and transfer this milk from the cooker to the pan ..
Take another non stick pan ,heat ghee and add our soaked poha into this and saute ..
Then add remaining sugar and salt .. Saute for 10 minutes .. If u want more ghee u can add ,but i don’t prefer much ghee ..
Then add this poha to the milk and mix well ..
Cook for another 15 minutes or until the medium thick consistency reaches .. While cooling down it will become little more thick ,so note that decide the consistency .. 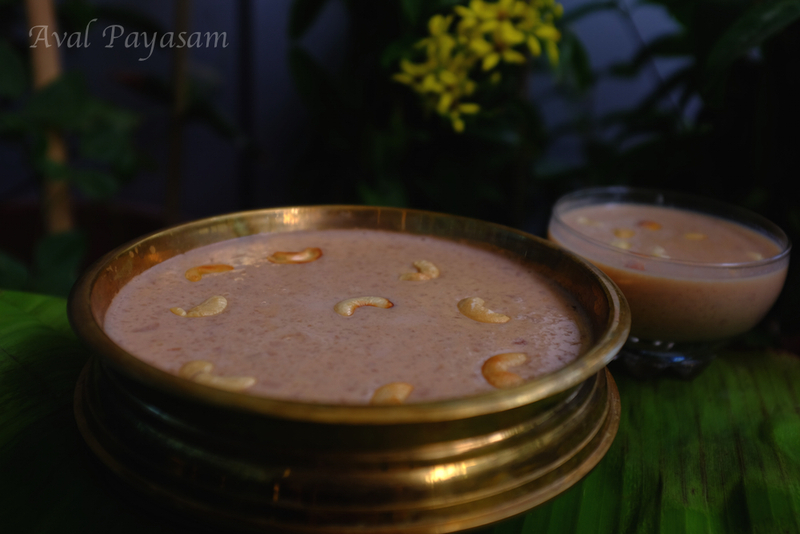 If u want u can add roasted cashew nuts ..
Sugar is purely depending up on u ,so after mixing poha to the milk ,taste the payasam and can add sugar if u want more sweetness ..
Its a very easy payasam ,no need to stand all the time in the kitchen ,u can do ur other cooking too while this milk is getting ready there in the cooker .. 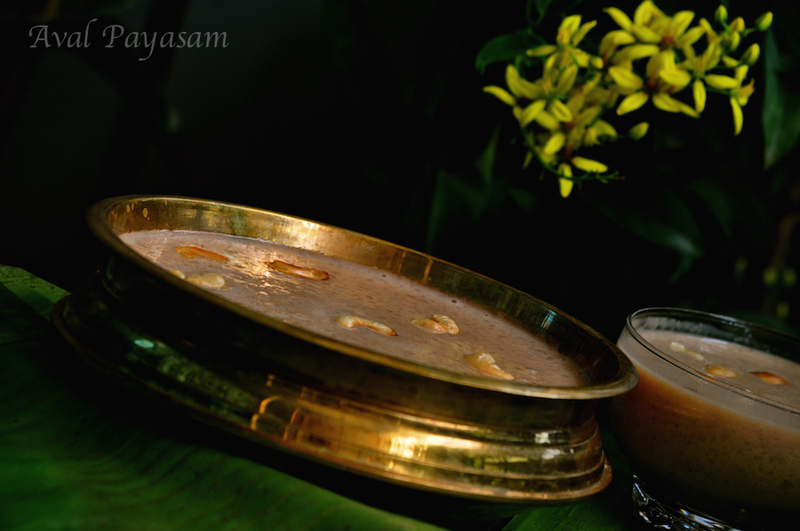 Approximately can serve 10 to 12 glass of payasam using this measurement .. 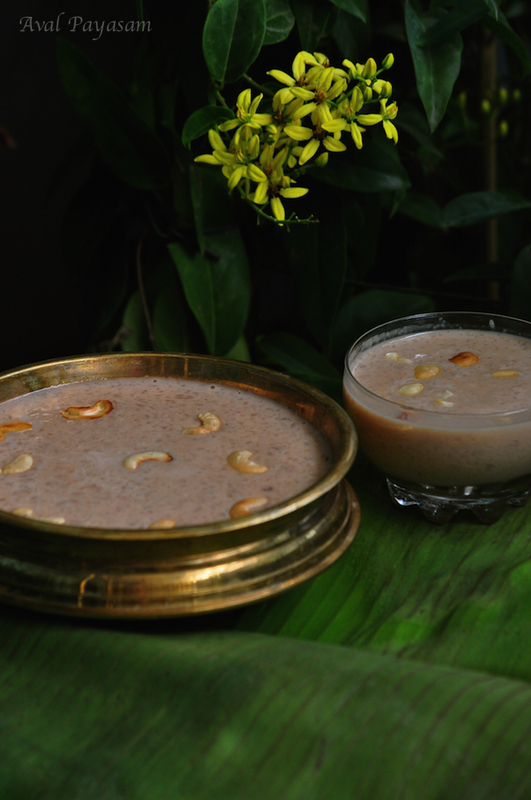 So dear friends if u have any doubt plz message me ..
Hope u will make this easy tasty payasam for this Vishu .. Happy Vishu, Veena. 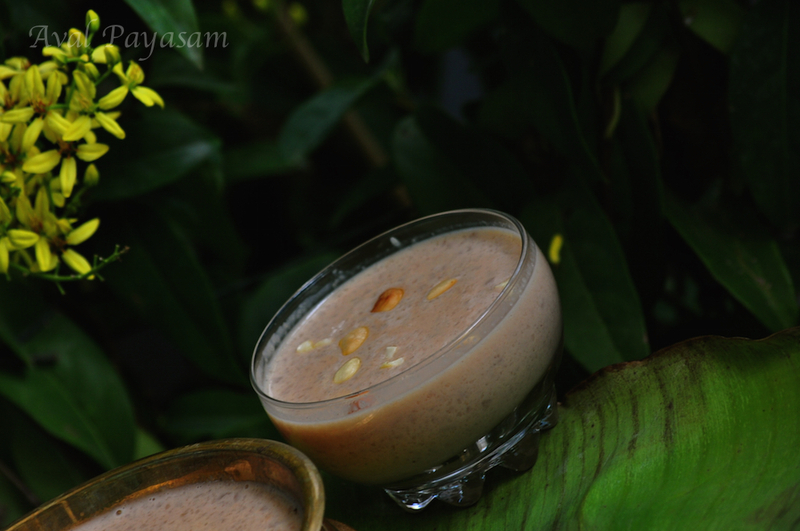 🙂 The payasam looks delicious.